Earning 4% cash-back on dining purchases with a huge sign-up bonus. You can also earn 2% cash-back at grocery stores and 1% back on all other purchases. 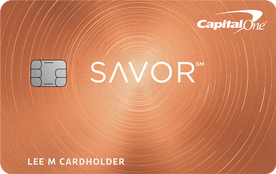 The Savor card is one of our picks for the best credit cards of 2019. 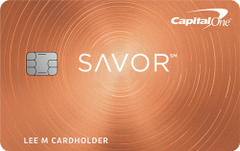 Our take: The new Capital One Savor card gets bragging rights for offering the most cash back on dining and entertainment purchases combined, but it’s not the best option for many cardholders due to its $95 annual fee.